A simple, comforting casserole that takes only 5 minutes to prepare and 20 minutes to bake, made with Pioneer Country Gravy Mix for a southern style taste. Add onions and sauté until golden brown. Add mushrooms and continue to sauté until little liquid remains. 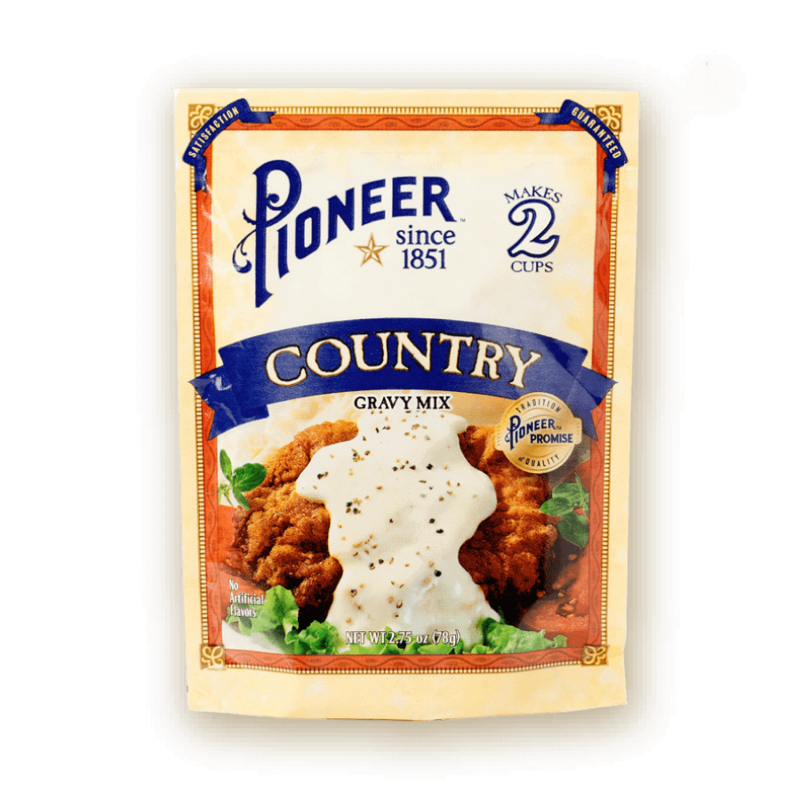 In a separate container, whisk together 2 cups water and Pioneer Country Gravy Mix. Add mixture to the sauté pan and bring up a simmer. Fold in pimento cheese and green beans until an even consistency. Transfer mixture to a 13×9” baking dish and evenly top with French fried onions. Bake mixture for 10 minutes or until crispy fried onions are golden brown.